It takes a mentor to get to your love promised land. However, choosing the wrong mentor can be catastrophic to your love life. How does one distinguish between a potential mentor and a tormentor? The following are five things I consider in a person before I adopt them as a mentor. These principles hold true both for our love lives as well as every other aspect of our lives. SECURITY: Is this person sure of him or herself? Is the person comfortable with my success. On the other hand, Is the person intimidated by my accomplishments? Is the person secure enough to confront me with my wrongs? Without security, the mentorship relationship will rapidly degenerate into something else. Anyone who feels threatened by their protege has lost the authority to mentor them. OBJECTIVITY: This is an uncommon ability to accentuate the positive side of an issue,in spite of the overwhelming negatives. Having a mentor that is an incurable pessimist is one of the greatest tragedies in life. One of the things that greatly affects our sense of objectivity is our personal failure. I am very skeptical about receiving mentorship from failures,except they are objective about their experiences. True, we all fail, but only those who see the positive side of their failures qualify to be mentors. TRANSPARENCY: I only place value on mentors I can see through. Mentors who are not sincere about their struggles and challenges are of no value to me. Anybody can share knowledge, but it takes a real mentor to share their experience,particularly the not so glossy ones. 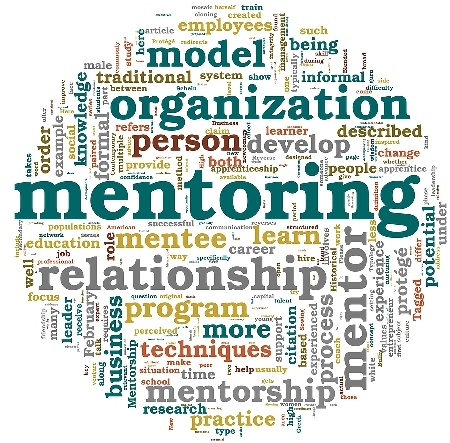 Another thing is that the transparency of the mentor sets the tone for the mentoring relationship. Insincerity in the mentor breeds insincerity in the protege. MATURITY: Paul, a first century theologian hit the nail on the head when he said that “strong meat belongs to those who are of full age,who by reason of use have their senses exercised to discern between good and evil. The truth is that the strong meat of our lives can only be handled by matured minds. If you submit your love life to a kid, you are likely to have yourself to blame. However realize that it doesn’t take old age to be a sage. Disposition matters more than position in determining maturity. SPIRITUALITY: I finally look for spirituality. The longer I live in this world,the more I realize that the equation of our love lives will not be balanced,if we dare subtract the spiritual from it. Spirituality for me means having a living,breathing,walking and talking relationship with the creator. Spirituality for me means allowing those divine principles to shape our day to day decisions and actions. The beauty of having a spiritual mentor is that you receive counsel not just from an earthly perspective but from an eternal one. During the first season of my love life, I suffered from having the wrong mentors. Some of their names were Snoop Doggy Dogg, Dr Dre, Tupac and the likes. I still feel sorry for the unfortunate ladies that said yes to me during those dark ages. Interestingly, as my mentors have changed, the quality of my relationships changed. Today the list of some of my mentors would include Jesus Christ, Gbeminiyi Eboda, My wife, Korede Komaiya, Sam Adeyemi, David Oyedepo, E. A. Adeboye, Kenneth and Gloria Copeland, Creflo.A. Dollar, and Stephen.R.Covey just to mention a few. The success of my relationship is a reflection of those mentorship relationships. Choose your mentors wisely, they can make the difference between the life and death of your relationship. I believe in you . How Can I Find a Mentor at Work?